On 11-13-12 to prepare for the Total Solar Eclipse I chose to sit on the shore at Crystal Beach overlooking the Gulf of Mexico.. I always like to meditate on the water, since I was 5 or 6 years old. While burning the white sage, creating Sacred Space and marking a circle with the four directions; above, below and within, I lit my candle with the intention of assisting in the purification of the Waters of the Earth and to give gratitude for all the contribution to our lives, and for the pure clean waters. Sitting in the Center of the Circle, I began calling in the 4 directions; seeing the 4 sacred races of the humans gathered; East, yellow, South, Red; West, Black and Brown; North, White. And I gave abundant thanks to the 4 Protectors, the Archangels who watch over the earth and who are actively assisting in the Ascension process. I gave abundant thanks to Creator and Mother Earth and to the four elements, and the 5th element, Sacred space; place of Creator, the Sacred Spiral Space of Creation. I invoke the energies of Michael, Melchizedek and Metatron, the Great Mother/Father God. Facing East; the place of the Future I give thanks for the energies of the Winds of Change; my mind was seeing clearly and with vision. I was in the Center of the Circle at Zero Point, the place of entering the Silence, or stopping the world. In the very center I am in the present moment; looking to the North, I invoke the Ancestors and thank them for their great contribution and, then I see the original male and female and it begins swirling into a yin and yang in the very center. I see the male/female; yin and yang, good/evil, light and dark...all the polarities are present. 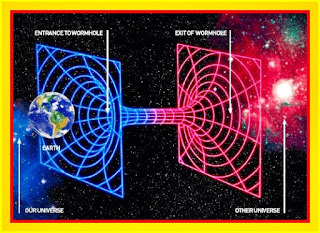 So, I am told by Archangel Gabriel that this is third dimension polarity and I feel the two sides as West and East, the West direction representing the Past and all experience of our Earth Walk. I ask the angels to then reverse rotation and clear, heal correct all error in the great weave going back 7 generations; and I ask that my body mind spirit represent all races as ONE. There is a great swirling of energy going counter clockwise and clearing the past 7 generations of all error in the weave..naming everything...the first 7 years of my life; clearing, healing repairing the weave. I am told I am a Weaver, weaving together the generations on the Great Loom of Time. Always working in the NOW, the very center at Zero Point, Looking toward the South direction, the Red Races and peoples representing the southern seerers who see and Speak the Truth, who continue to hold the Wisdom of the Ages. Coming forward in my mind they show me the North South alignment the verticle alignment of truth. And the Great Loom. Calling in Archangel Michael I see the error in the Weave removed as the Bright Light of the Sun, a pure thread is added making now three threads I am weaving. The Black representing the past, the yellow representing the future and the Red representing the Blood of the Nations and Races. Then adding the Pure White Light of the North Direction the place of Wisdom and Truth of the Ancients; The Circle begins to Spin rapidly and all the colors of the 7 colors of the rainbow become gates, and I pass through the Red gate and am cleared of my physical body. Now passing through the orange, the yellow, the green, light blue, indigo and purple. Intense energy clearing is taking place through all energy bodies. As I heal I begin to ascend to a higher vibration. Now I see the Eye of the Sun. The Bright Light and in the center a portal. As I pass through this portal I AM told I am entering the Birth Canal of the Great Mother. And I see the water, but it is the Ethereal Waters beyond gravity, beyond third and fourth dimension. 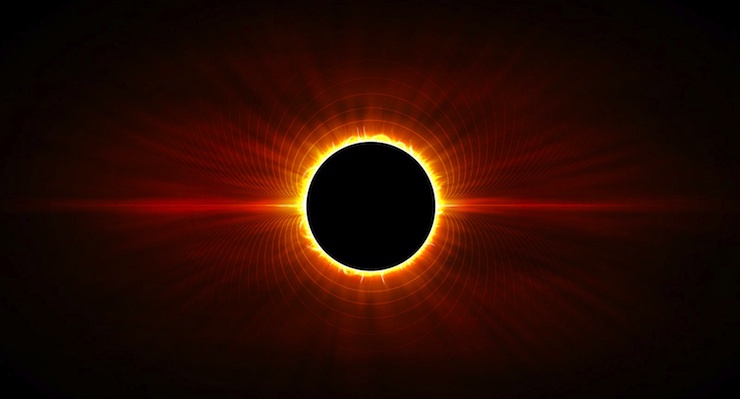 Functioning as ONE we pass through the Cosmic Sun into the Great Sun Disc….This is the significance of the Total Eclipse of the Sun that provides the Portal for our ascension into the Birth Canal. I am told this process will last until the moment of Birth of the New Sun, the great Peace Sun, on December 21, 2012. I AM aware that the great polarities which we are experiencing are all a part of living in 3rd dimensional duality. Everything is surfacing to our conscious awareness now so that we can clear all disharmony in our lives and in the planet; by honoring and respecting all points of view including our own we become whole in the understanding U R I and I R U. Respect and Love is the higher vibration. The goal is to Bridge the right and left hemispheres of our brains; to begin thinking WE ARE, I AM THAT I AM. We must ask spirit to show us the higher point of view. Spirit is the missing thread, the Light that will lift us up to a higher point of view. When we weave the thread of Bright Light; white thread into our lives, we see from a higher perspective and our world view is expanded to include all Life, all beings, to have Love for all beings. Then our vibration as an individual becomes aware of the WHOLE. It is a great awakening as we pass through the initiation of the White Light. We know there is no separation between ourselves and God, each other…we know because we know that we are all ONE, from ONE Source. Now, we are in the forming pattern in the Great Womb, we are being rewired, our DNA, our blood, every molecule.. I ask who She is and begin breathing as though I am in labor. I see the water in the Gulf of Mexico and notice I am in a position of Labor. I am told that the Great Mother is giving birth to the New Generations, the New Seed for the New Earth. She is the Great Mother and in this Total Solar Eclipse she becomes the Woman Clothed With the Sun. The Earth is passing through the Void, the Womb, encircled with the Golden Light of the Great Central Sun Disc. She is giving birth to the New Earth and the New Peace Sun. Now I am breathing as though I am the Whole Earth. Deep Breaths, breathing in the New Energies; colors, vibrations from a higher octave. Exhaling out to the whole earth. And I am told I AM a Weaver of the Generations and WE are giving birth to the new generations. Now is the time between…visualize the New Earth as your birthright and all the wonders you can see…what is your vision for the new earth? For your grandchildren, for the next 7 generations? Allow the vision to take hold in your Heart. Continue to Breath in the New and Breath out the new to the Whole Earth. Know that you are the Vessel and the Seed…Focus you thoughts on the Highest and Greatest Good for the Whole…allow yourself to connect with the collective Dream many refer to as the Whirling Rainbow Dream for Peace on Earth, manifesting the family unification of mankind and Heaven on Earth. Blessing to you, you are so precious…hold onto the Light…hold onto the Vision…listen to the voice of your highest Being guiding you…the Light is always victorious.